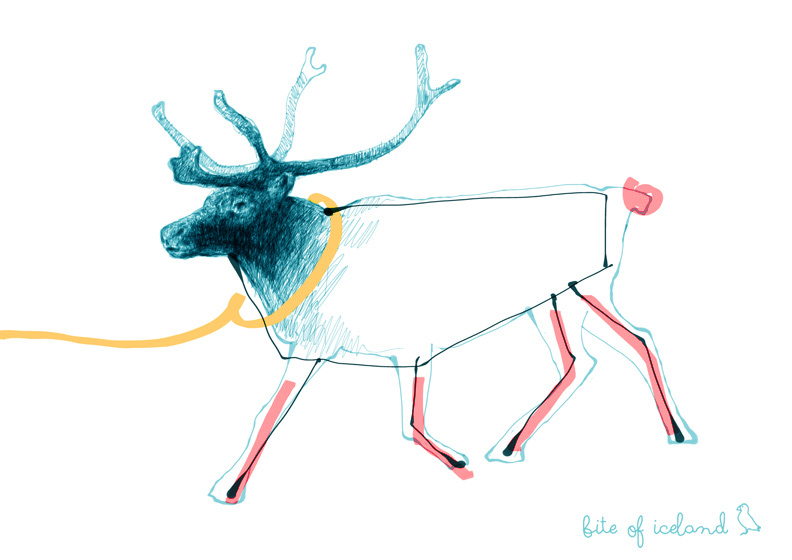 Reindeer were introduced to Iceland quite late, around 1770. They were transported here from Norway. Iceland is full of wild open space, so Norwegians thought it would be a perfect place to herd these animals. Oh… how wrong they were! 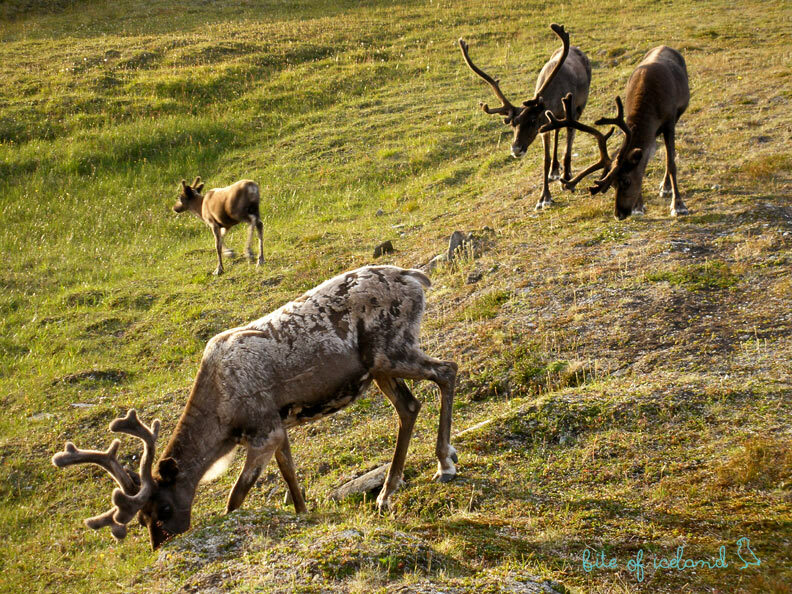 No one has ever succeeded in domesticating reindeer in Iceland. It was a settlers’ dream, but it never came true. Not because they didn’t try, they did their best actually. 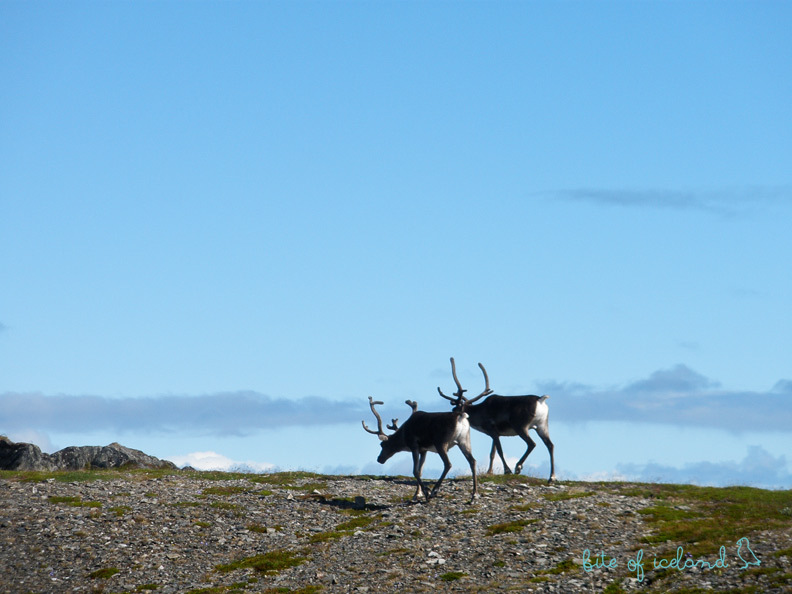 It’s because of reindeer mean nature! 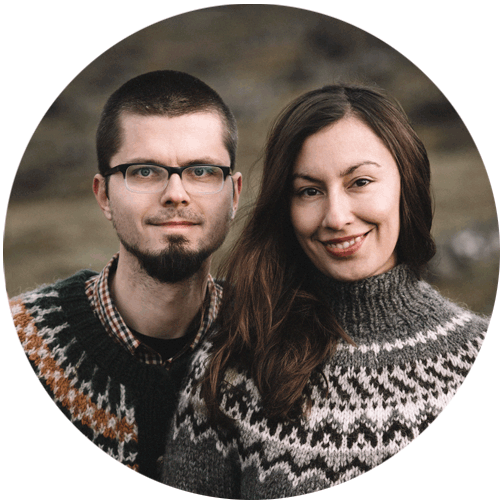 For sure these cute creatures fell in love with Iceland from the first sight and they didn’t want to end on a plate. So they decided to get super wild, very rude, misbehaving and frivolous. Their scrupulous plan worked unbelievably well. People who brought them to the island just gave up. 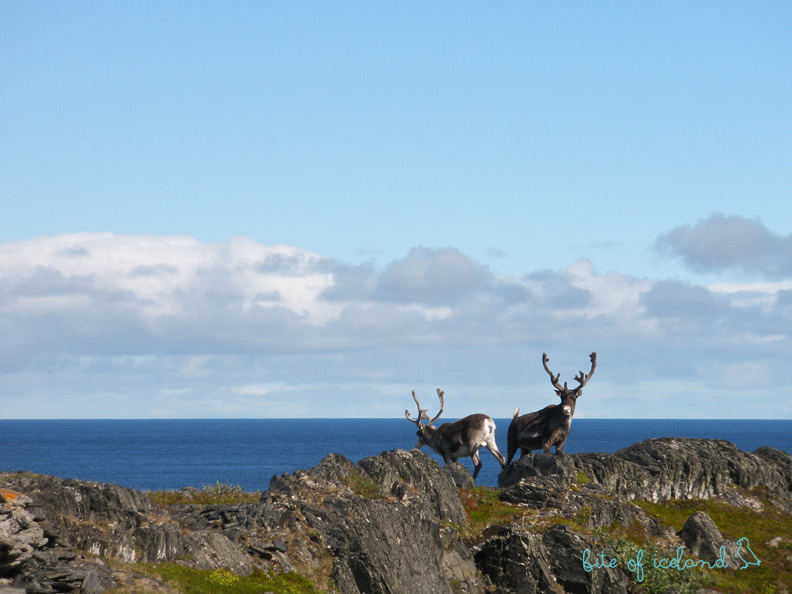 Now very happy reindeer live like they wanted – they are totally free. We must tell you that it’s not an easy thing. But for sure you can succeed. The best approach is to be patient and to simply forget that you are looking for them. One day they will appear out of the blue. 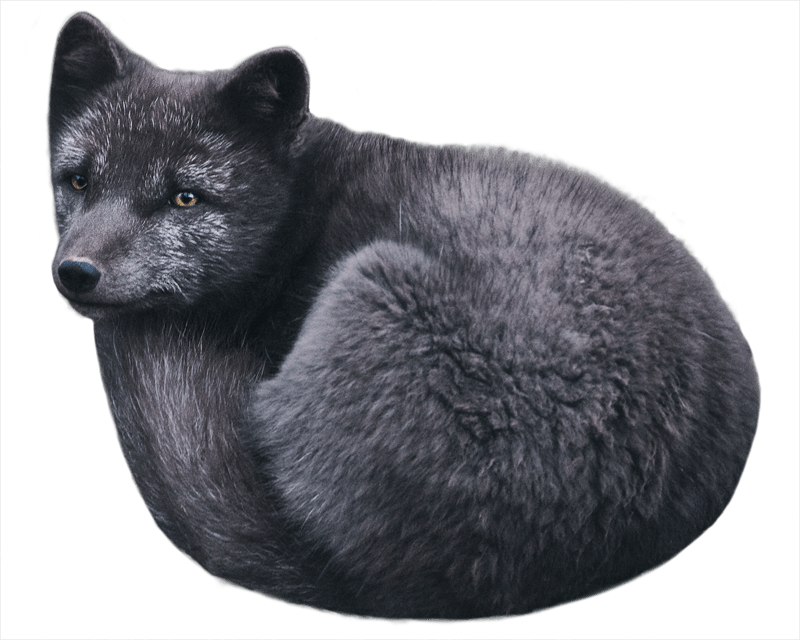 If you are lucky, you will spot them wild in the east of Iceland and we can tell you – it’s something! They are very shy creatures, so be very quiet while you are approaching them. We don’t know why, but they seem to be hungry all the time. When we had a chance to meet them, every time they were eating. That’s a very good thing – until they notice you and run away, usually you will have a couple of minutes to take pictures. We’ve managed to encounter them several times, once even a whole herd. We keep our fingers crossed for you!